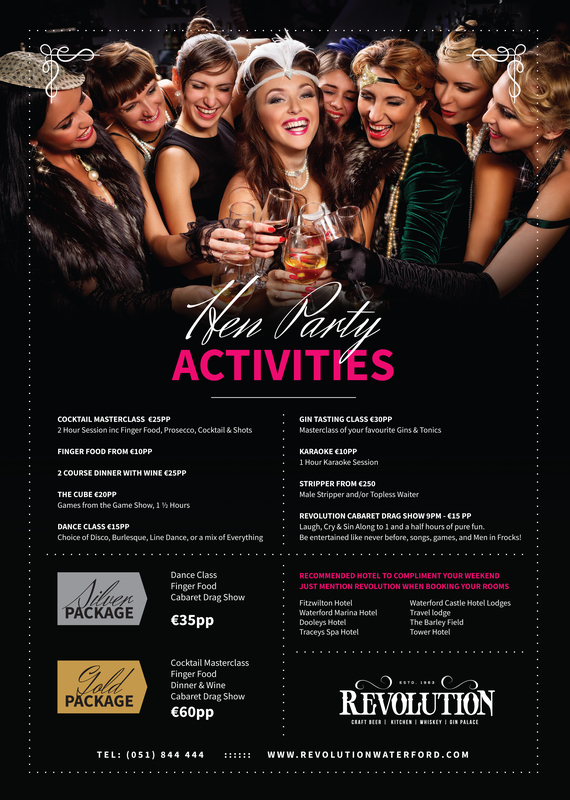 Revolution offers a wide range of options for Hen Parties, Stag Parties, 18th, 21st, 40th, 50th, 60th Posh Fizz Parties & everything in between. Let us take the stress out of your party with our friendly staff, large party menu and many packages available to make your party fabulous. 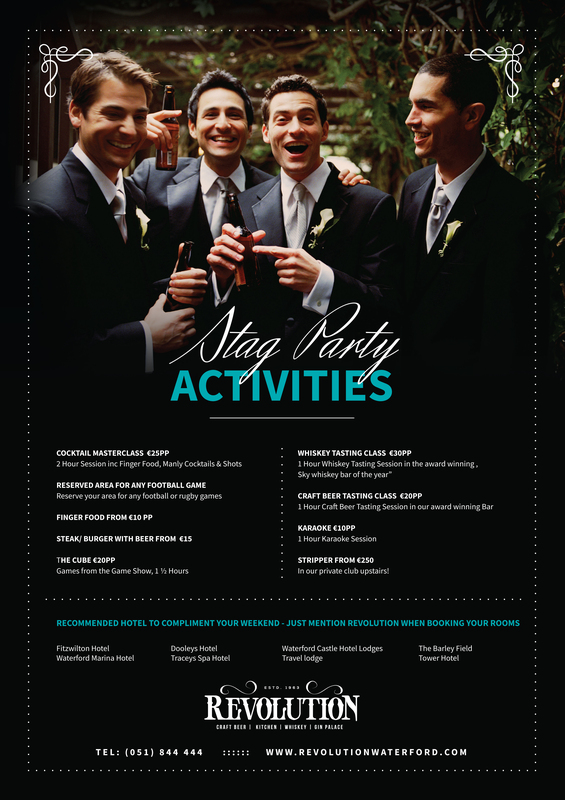 keep an eye out for the new and exciting website Waterford Hen & Stag coming soon!